Mentioning bats usually elicits one of two reactions: “how cute” or “get it away!” No matter where you stand when it comes to the bats themselves, it is impossible to deny the massive benefits that they offer to the agriculture industry, both in the United States and worldwide. So, why exactly are bats important to U.S. agriculture, and what could they possibly offer that is worth $3.7 billion? Bees aren’t the only creatures that can pollinate plants. More than 300 species of fruit plants depend on bats for their pollination, often because their flowers are open at night when the bees are resting in their hives. Some of these plants include tasty favorites like the banana, the mango and the ever important agave plant. Why is agave so important? Without it, we wouldn’t have tequila: an industry that generates $2.1 billion in supplier revenue in the U.S. Since the dawn of agriculture, we’ve dealt with pests. Over the years, we’ve developed various methods of exterminating them, each more toxic than the last, when we should have been paying attention to the humble bat. The common bat species that are native to North America handle $3.7 billion in pest control all by themselves — and that is a low estimate. Some sources estimate that the pest control service that bats provide could be worth up to $53 billion a year. This is only a small sampling of the insects that most bats consider delicious. 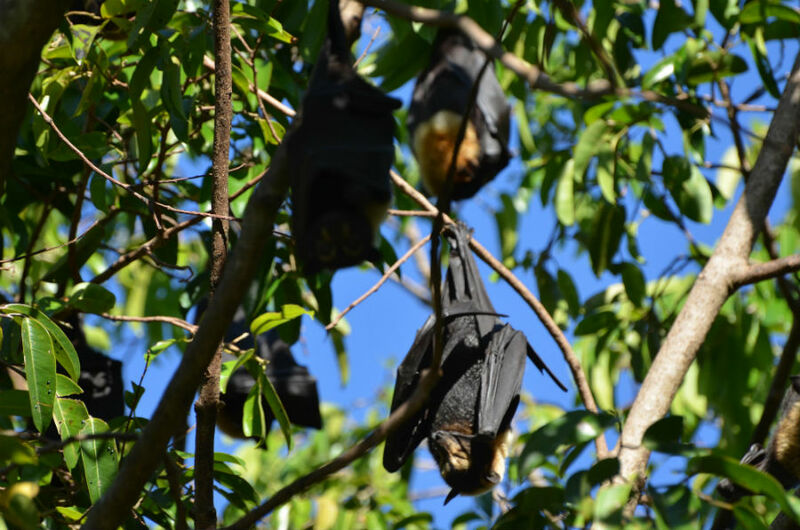 Without bats, we would need to invest in expensive and potentially toxic artificial pesticides to make sure crops remained untouched by insects. By fostering healthy bat populations, the U.S agriculture industry can easily reduce its toxic pesticide use by, well, $3.7 billion. Wind turbines are a great source of green energy, but they are also contributing to the steep decline in the population of bats in North America, some researchers say. Scientists estimate that between 600,000 and 900,000 bats fall victim to the swiftly spinning blades every year, most of these during the bat’s migration season. Many wind farms are taking steps to help reduce their impact on bat populations by reducing speeds or allowing the turbine blades to idle during migration seasons. Allowing the blades to idle on calm nights, when bats are most active and the wind farms wouldn’t generate much power anyway, is another way to allow these green-energy generators to continue reducing our carbon footprint without reducing the bat population as well. White-nose syndrome effectively disrupts the hibernation cycle of the bat. Rather than sleeping through winter and relying on the fat reserves that they collected throughout the year, bats wake repeatedly and end up leaving the warm safety of their hibernation site to look for food and water. Ultimately, most of these bats succumb to the elements, and this disease has killed millions of bats since it was first discovered in 2006 in the United States. Bats are among our most valuable natural pest control resource, simply because they enable us as a country to begin reducing our reliance on chemical pesticides that can be harmful to both us and the environment. By protecting bats and creating a safer environment for them, we are ensuring our own agricultural future as well. Anum Yoon is a writer who is passionate about personal finance and sustainability. She often looks for ways she can incorporate money management with environmental awareness. You can read her updates on Current on Currency.